Microsoft will be releasing a new update for its Surface Pro 2 tablets today in order to fix installation errors and battery length issues that were prevalent with the previous firmware version. The rollout for the new firmware has already begun and some users in the UK and US are reporting that they have been able to access it. At least some users on Twitter and other online networking services have reported that a January 18, 2014 update for the Surface Pro 2 has been made available by Microsoft. According to these users, the firmware does indeed fix some of the errors present in the previous version. Microsoft has remained quiet regarding what bugs are addressed in this update however it does seem likely that the battery issues and installation errors will be fixed. Both of these problems were present for a significant amount of users, so fixing them is something that Microsoft should be doing in this update. 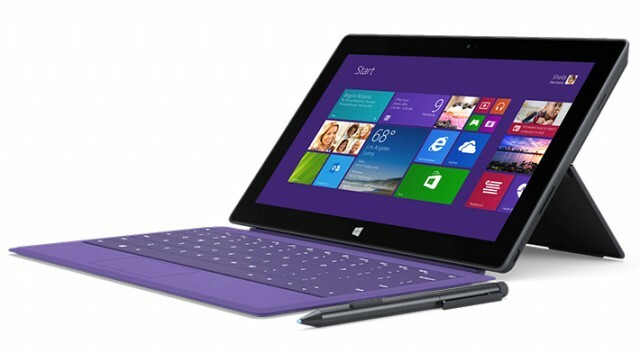 Numerous Surface Pro 2 owners complained in December of installation problems resulting from a BitLocker encryption error and on top of that, battery life was much lower than it should have been. Microsoft worked hard to increase the battery life of its Surface Pro 2 tablets, so having any major issues with that aspect of the device has angered and annoyed customers. With so many complaints pouring in from users, Microsoft was forced to remove the December firmware update and has presumably been working on today’s update since then. The update is listed under Windows 8.1 drivers and according to people that have seen the update available for download, it carries a 4.2MB size. Reports from users receiving the update have been scattered around the US and UK, but a full rollout should be occurring throughout the remainder of today. Unfortunately, sources close to the company have informed tech publications that this update may be one of many and therefore, not all of the Surface 2 issues may be fixed. Although, if this is the case, it would make sense that more updates would be coming between now and early February. Summary: Following a significant amount of complaints regarding its December Surface Pro 2 firmware update, Microsoft has begun to rollout a new firmware version. This update should fix installation errors and battery life issues.